Livestock and farm machinery is valuable, portable and easy to steal – Protocol and Canine can provide farm and rural-site security in Norfolk and the surrounding counties. When kept in remote, unguarded rural locations, agricultural equipment can make an appealing target to thieves and farm security can become a real concern. A spate of farm thefts in Norfolk includes the case of 150 pigs stolen from a Norfolk farm in June 2012. 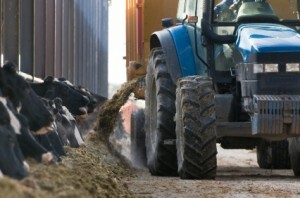 Insurance figures show that in 2009 alone machinery theft cost the farming industry over £42 million. In March 2013, Farmers Guardian said how gangs stole more than 200 tractors worth more than £25,000 from farms in the UK between December 2012 and January 2013. Thieves target livestock and metal as well, these statistics continue to increase every year! What can farmers do to prevent rural theft? Farm security advice from the police is that farmers should regularly check on fields where animals are grazing, install CCTV where valuable machinery is stored and add tracking devices. However this approach is not always practical or affordable. Meanwhile an NFU Farm and Rural Security Survey showed that 64% of their branches believed that better security measures were the key to reducing rural crime rates. That is where canine farm security and dog patrols come in. 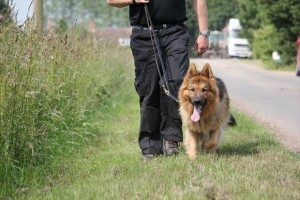 Protocol and Canine can organise regular dog patrols for farms. Alternatively a group of neighbouring farms can club their resources together for a more economical farm security solution. 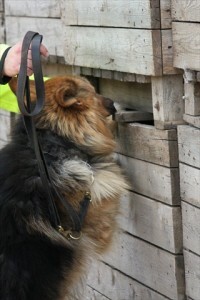 Visible canine security deters opportunistic rural crime, and can persuade criminals planning farm theft to look elsewhere for their next target.